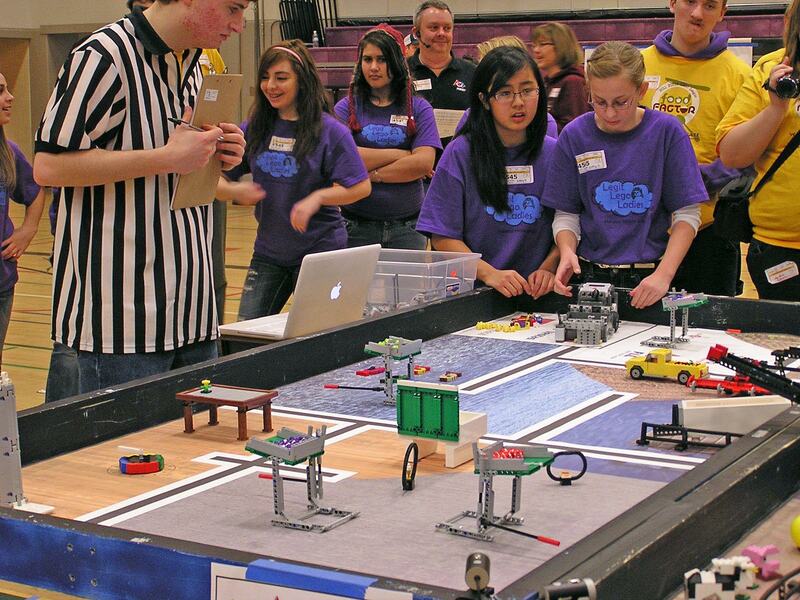 The Olympia School District will be participating in the South Sound FIRST LEGO League (FLL) Regional Qualifier competition on Saturday, December 8th and Sunday, December 9th, 2018. Over 30 FLL teams from our region will converge on Washington Middle School in Olympia to compete around this year’s themed challenge “Into Orbit”, where students explore the ways humans find, transport, use and dispose of water resources in the 21st century. The complete challenge details are available here. Teams will judged on their research Project, their Robot Design and how well they demonstrate the FLL Core Values. After the judging, teams will compete in the Robot Game, where their robot autonomously runs “missions” to score as many points as possible during a two-and-a-half minute match. This year’s South Sound Regional Qualifier will require over 60 community volunteers (most do NOT require robotics knowledge or experience) to run a successful event! STEM Pals is recruiting community members to act as both officiating and logistic volunteers. Officiating volunteers can be Judges or Referees – these jobs require our volunteers to complete online training prior to the competition. Logistic volunteers cover a variety of tasks from set-up/tear-down, registration, queuing teams, etc. – these jobs do not require any prior training. Full day volunteers will need to be available from 7:30 a.m. to 5:00 p.m. Please consider becoming a STEM Pal by volunteering to help at this exciting event for our middle school STEM Robotics students. To volunteer for this need, click here to fill out the volunteer form. Thank you! !